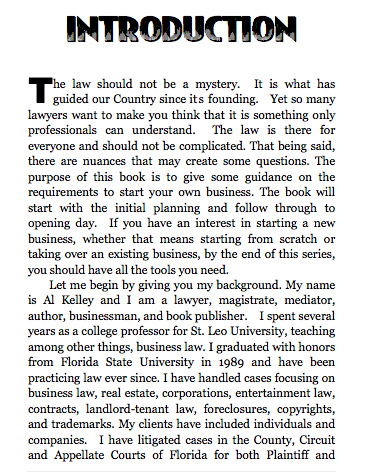 Here is Albert Kelley’s fourth legal guide in the Basics of … series. 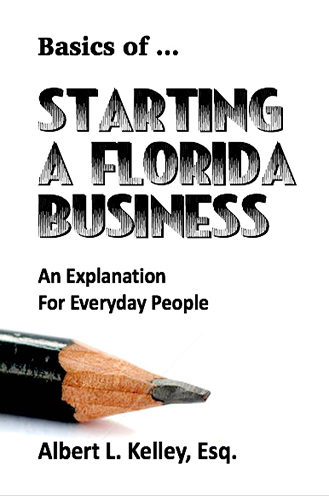 This handy reference provides a simple understanding of how to start a Florida business from scratch. Everything you need to know -- from creating a new business to buying an existing business to choosing a franchise. Choosing a corporation or an LLC, keeping company records, getting an occupational license, sales tax numbers and insurance, even hiring employees and accounting – it’s all here. Told in simple, easy-to-follow language, business attorney Albert Kelley gives you all the basics. Plenty of helpful Appendices.